This striking Southwestern home of one of IRONMAN's original full-distance races, now hosts one of the season's earliest IRONMAN 70.3 races. The U.S. Pro Championship race is staged in and around the heart of St. George, with Zion National Park, the state's most popular national park, only a short 45-minute drive away. The city's walkable downtown area offers great local fare, boutique shopping and plenty of parks—perfect for enjoying the sunny spring weather. On the opposite end of the spectrum, St. George is only two hours from the nightlife of Las Vegas, with its never-ending entertainment options. 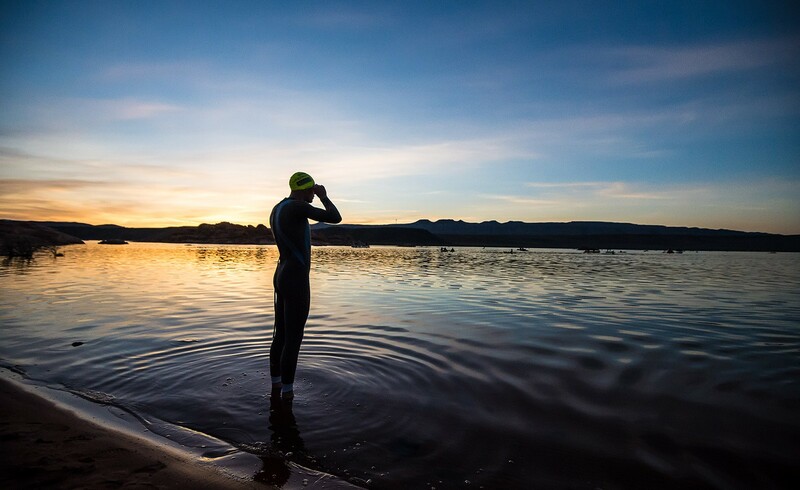 The swim is held a few miles away in pristine Sand Hollow Reservoir, where athletes are bussed to the start line from the parking lot. The bike and run courses are two of the most challenging on the IRONMAN 70.3 circuit, but what goes up must come down and some of the descents are just as epic. Both courses present spectacular views of downtown St. George, Snow Canyon and the Red Cliffs Desert Reserve. The Snow Canyon climb is lined with motivational posters from the local tri club, helping to ease the difficulty of the physical task at hand. IRONMAN 70.3 St. George is also a Regional IRONMAN TriClub Championship race. In addition to members only special on-site events, athletes who are members of a TriClub or Team earn bonus points for their club towards the prestigious IRONMAN TriClub Annual Podium Award. Email triclub@ironman.com for additional information. This race offers 30 qualifying slots for the IRONMAN 70.3 World Championship.